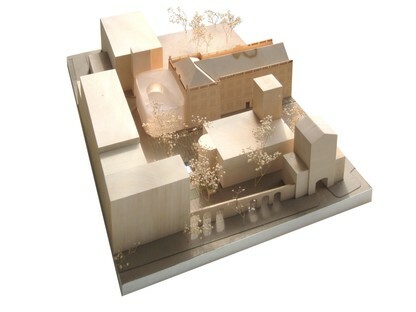 Steven Holl’s Maggie's Centre is a building that gives off vital energy, a happy note in a part of London recalling the city’s medieval history. 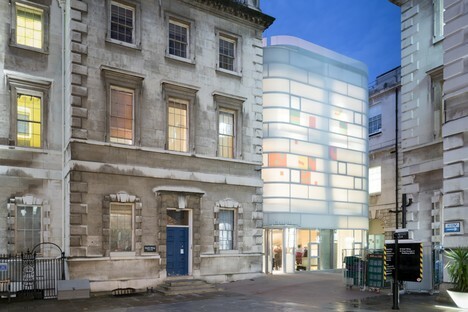 The centre stands next to the courtyard of St. Bartholomew’s Hospital, London’s oldest hospital, founded in 1123, near a stone building designed by James Gibbs, where it replaces a previous brick building of no particular value, constructed in the sixties. 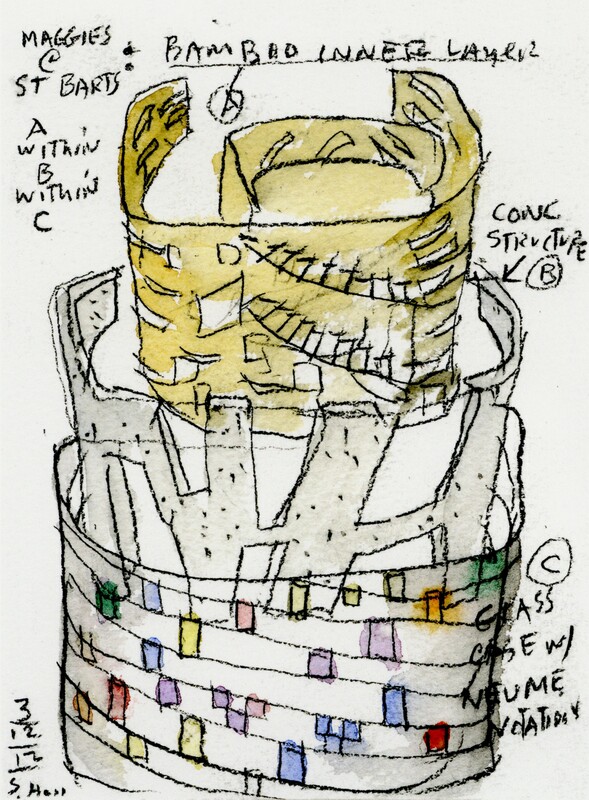 Steven Holl Architects designed a series of Chinese boxes for Maggie's Centre, already apparent in their preliminary sketches. 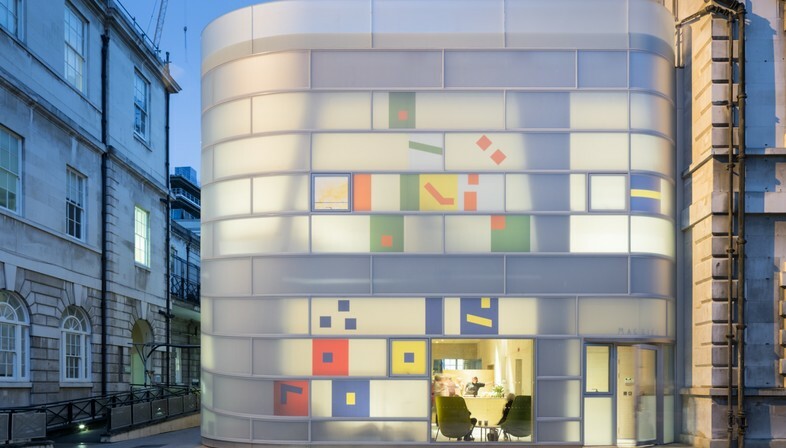 The building’s structure is composed of a cement frame with an inner layer of bamboo and outer cladding consisting of matt white glass panels containing fragments of coloured glass. 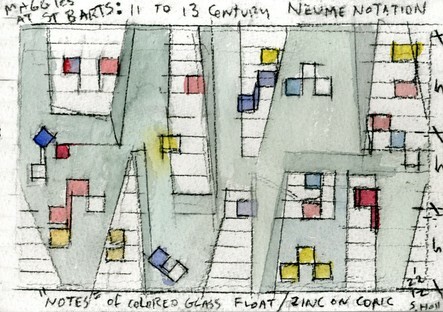 The aim is to recall the “neume”, the form of musical notation used throughout the Middle Ages, and specifically the square notation characteristic of Gregorian Chant. 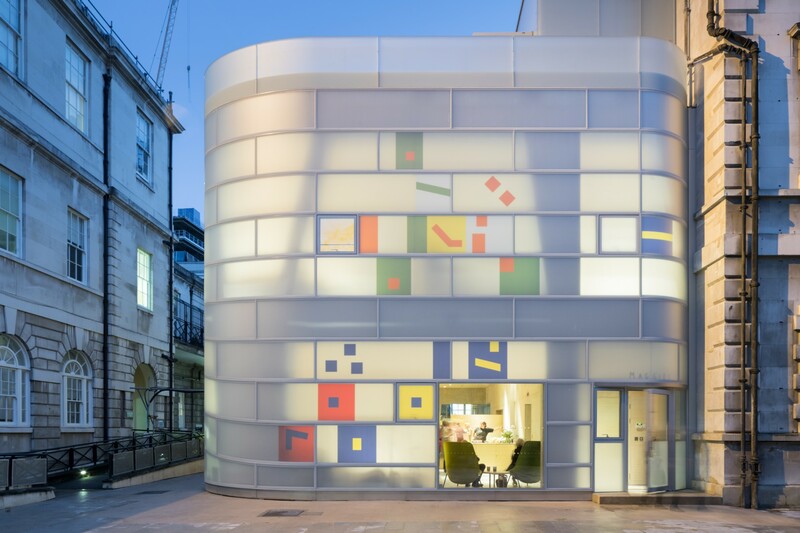 The façade of Maggie's Centre is in fact organised into horizontal strips, inspired by a line of music. The term “neume” comes from the Greek pnevma, meaning “life force”, ideally transmitted to cancer patients and the families, for whom the centre is intended. 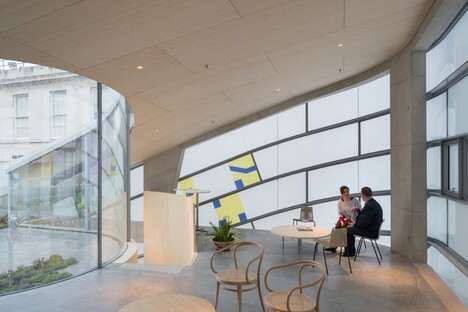 Inside, the building is organised into three levels connected by a big curved staircase integrated into the cement structure and covered with bamboo panels. 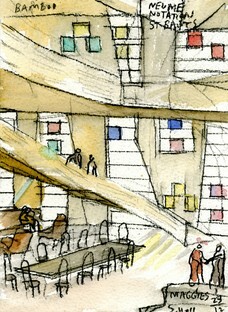 The motif on the façade, with its 90 cm wide strips, follows the evolution of the staircase along the northern façade and rises up only to be replaced by clear glass panels and by the main entrance onto the square and the secondary entrance onto the garden of St. Bartholomew the Great Church. 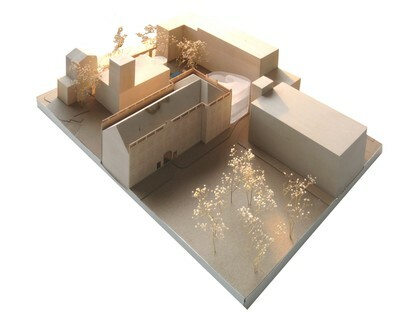 Maggie's Centre Barts, London from Steven Holl Architects on Vimeo.